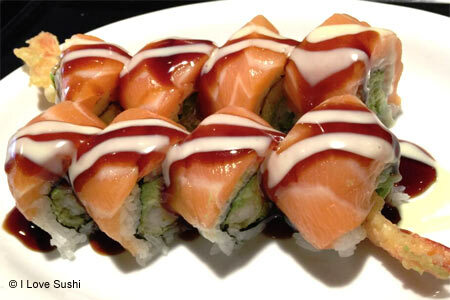 Quality sushi livens up a Ventura strip mall. : What it lacks in character, this strip mall sushi restaurant in Ventura makes up with consistently good food. It’s no Nobu, but the fish is invariably fresh and the nimble chefs know their way around a tuna belly. Meals begin with a free bowl of edamame, a Japanese amuse-bouche of sorts. From there, the culinary path winds along a predictable course. Snappy ginger dressing wakes up a well-balanced sashimi salad. The sushi list includes all the usual suspects. And, of course, you can’t go wrong with an uni shooter. Here, quail egg and cold saké set off the urchin’s texture; ponzu sauce gives its natural flavor a citrusy jolt. While nouveau sushi fixings like cream cheese and crumbled feta are used in some specialty rolls, it’s really not that sort of place. Tradition works best here. Stick with straightforward sushi and sashimi, then finish off with a soft pillow of green tea mochi ice cream.